It was quite an honor that awaited the 2018 Honda Accord at the North American International Auto Show a few weeks ago. Indeed, the new 2018 Honda Accord was named the North American Car of the Year by a panel of 60 journalists from the United States and Canada. 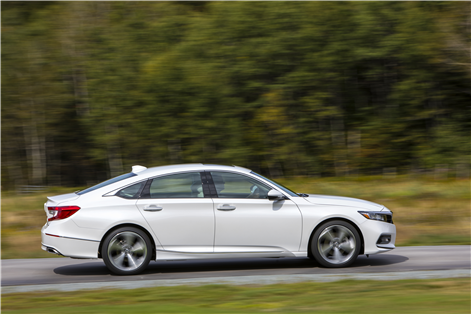 This is a very prestigious award for a new car, and one that is well deserved for the new Honda Accord, the 10th generation of Honda's popular mid-size sedan. 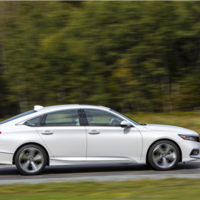 The 2018 Honda Accord received several notable improvements during its redesign last year. For starters, the new Accord is more spacious and versatile than ever before with more generous cargo space and plenty of space for the occupants' heads and legs. That said, it's under the hood that the most notable changes are present. 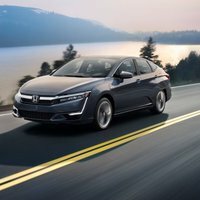 Indeed, the new 2018 Honda Accord is now available with a choice of two turbocharged engines that ensure impressive performance, but above all a fuel economy rating that will surpass the expectations of the majority of owners. The entry-level engine of the new 2018 Honda Accord is a 1.5-liter turbo four-cylinder developing 192 horsepower. This engine is one of the most powerful entry-level engines in its segment, and one of the most fuel-efficient when paired to the continuously variable automatic transmission. 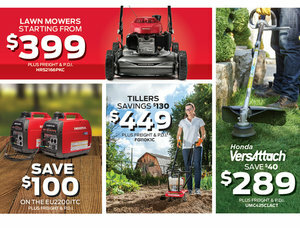 Fuel consumption is rated at just 7.2 liters per 100 kilometers. That said, it is possible to get even more performance if you opt for the 2.0-liter turbo four-cylinder engine that develops 252 horsepower. This engine can also be paired with a 10-speed automatic transmission, a first for a front-wheel drive vehicle! To learn more about the new 2018 Honda Accord, contact us today at Edmundston Honda!